I've been watching The Vampire Diaries on Netflix...or should I say, re-binge-watching, in anticipation of the start of the 8th and final season. 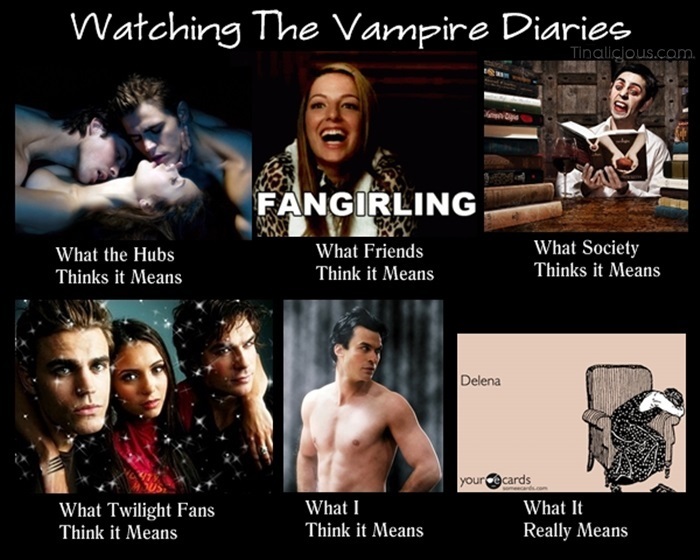 And thinking about the fan gurl that I am, I thought I'd share this meme I made about watching TVD. Most of you know that I'm a big obsessed fan of The Vampire Diaries. When I discovered that show on Netflix in about 2010 I didn't really think I'd like it. But I was hooked before the end of the first episode. And now that the series is going to be coming to an end after this coming season, I thought I'd share some of my favorite TVD memes and digital photos/art with you, and maybe create a few more along the way through this season. For this blog post, we're going to walk down the Shirtless Damon Memory Lane. Because let's face it: no matter what the reason is that you love TVD, you gotta rank Shirtless Damon somewhere near the top of that list. 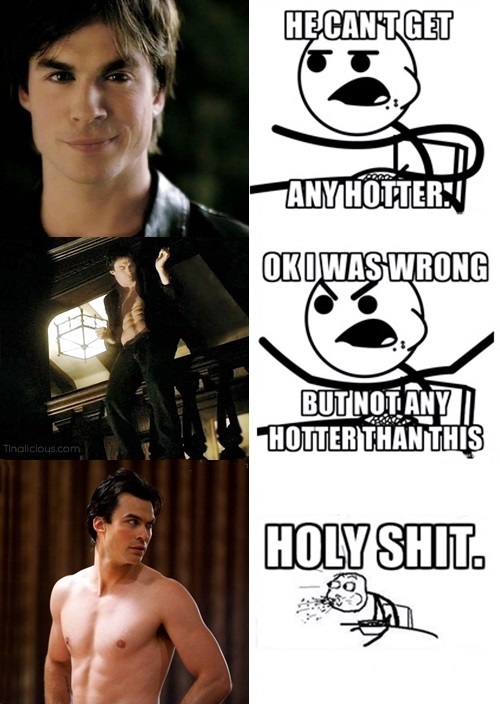 So here are a few of my favorite memes that I've made that feature my favorite shirtless Salvatore brother. As a bonus, just in case you need to see Shirtless Damon in action, here's an animated gif for you as well. So that is my tribute to Shirtless Damon. More TVD memes, moments, and memories to come as I follow the end of one of my favorite shows of all time for its final season.